Graham Norton is back with a new vintage for 2017 – but this year, he’s taken the winemaking reins to blend his own beverage from scratch. The Irish comedian worked his winemaking magic to create his 2017 Sauvignon Blanc, Graham Norton Rosé and Graham Norton Shiraz armed with the Invivo set-up brought all the way from New Zealand by Invivo co-founders Tim Lightbourne and Rob Cameron. And for the very first time, a soon to be released Graham Norton’s Own Prosecco – a result of the innovative kiwi winery’s recent partnership with Italian growers based in Prosecco’s home of Veneto. Long-time Sauvignon Blanc fan, Norton was chuffed with the result. He was particularly partial to the Prosecco, which the Invivo crew were pleasantly surprised taste. From 14,000 bottles produced in 2014 to more than 2 million forecast for 2017, demand for the wine has increased exponentially. Since 2016, production has increased by 500,000 bottles. 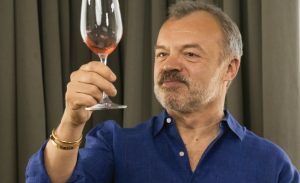 Graham Norton Own Wines have expanded outside of markets where the talk show host is well-known. Along with New Zealand, USA, Australia, UK and Ireland the wines have recently launched in Norway, Denmark, Hong Kong and Japan. Two years in the making: Speight’s. We Will. Who is the Cocktail Champion of the Year?